The book features a friendly, informal style. Focuses clearly on basic electromagnetic theory, providing a sound platform for future exploration of related applications (such as AC circuits, antennas, transmission lines, plasmas, optics, etc.). A large collection of problems includes short, highly-focused problems that are placed immediately following the relevant text section while longer/more broadly-based problems are at the end of the chapter. Features a more extensive coverage of radiation theory than most texts at this level. Edits to the entire text have clarified arguments and eliminated ambiguities. New problems and new worked examples appear throughout, while selected unsuccessful ones have been eliminated. All 450 figures have been reviewed for accuracy and updated where necessary. A new section on magnetic work helps to eliminate teachers’ misconception that magnetic forces do not work. The new section fully explores the actual mechanism in cases where magnetic forces are actually working. Erroneous passages have been corrected. In particular, misleading copy (specifically the treatment of “hidden momentum”) has been fixed. Citations of recent literature appear throughout for those who wish to pursue a particular topic in greater depth. 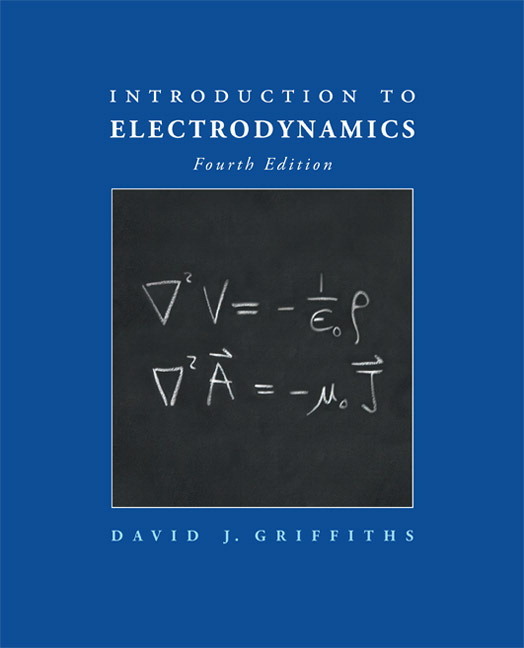 This literature helps reinforce the point that electrodynamics is a vibrant and dynamic field, even after 150 years.